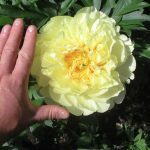 Itoh Peony is also known as an Intersectional Hybrid. 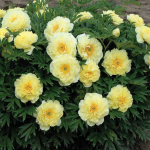 This plant is a cross between a traditional garden peony and a woody tree peony, taking the best attributes of both plants. It has up to 50 enormous sized flowers once established. This hybrid is a relatively creation with the first successful cross made in 1948 by the Japanese breeder Mr.Tiochi Itoh. Itoh Peony is easy to grow in moist, well-drained soil. 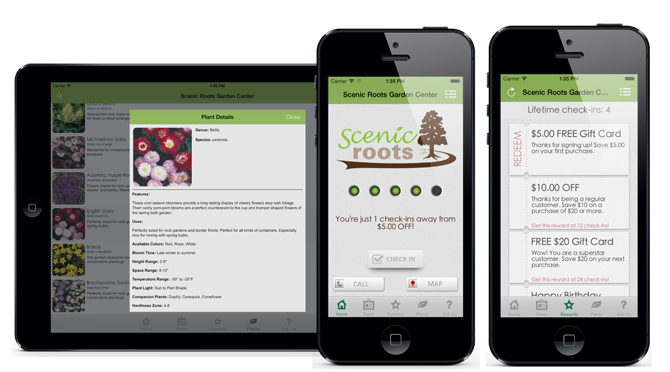 Work the soil around the planting area to allow for a deep and extensive root system to develop. Place the plant in the ground, keeping the plant even with the soil line. Once in the ground keep the soil moist but take care not to over water. Provide an extra helping of fertilizer that is low in Nitrogen like Espoma Plantone while the plant is in bloom. Also remove spent flowers to encourage a fresh burst of color. In the fall, cut the Itoh back to 4-6 inches up from the soil level. Flowers open in succession for up to a month! Sturdy stems do not require staking, even when the plant is loaded with flowers or even after a rainfall. Fragrant and great cut flower. Disease resistant, deer resistant, and winter hardy. Plant is sterile and therefore does not attract ants like a standard garden peony does. Plant takes full sun, but some light shade will help flowers last longer. 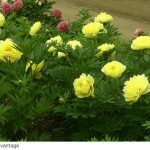 This entry was posted in Gardening Articles and tagged fragrant, gardening, itoh peony, peony, perennial, yellow.